LAREDO — Since Alejandro Obregón moved to a colonia along the Texas-Mexico border 20 years ago, he has fought for basic necessities like clean water and paved roads. Now a private developer wants to build a landfill just a few miles from his backyard, and Obregón is fighting again for the interests of his family and hundreds of colonia residents. Local ranch owner Carlos “C.Y.” Benavides III and his family’s company have asked the Texas Commission on Environmental Quality for permission to build a 660-acre landfill about four miles south of the colonias and 20 miles east of Laredo. It would become one of the seven largest-capacity landfills in the state, accepting trash and some toxic refuse from across Texas, other states and Mexico. Obregón fears winds will blow toxic waste from the landfill into his neighborhood's homes, and he worries about residents, many impoverished and lacking regular access to medical care, getting respiratory illnesses. He will fight “because it’s my life. It’s my kids’ lives. It’s my wife’s life,” said Obregón, who is considering a hunger strike to protest. The application calls for the landfill to accept Class 1 industrial waste, which the state considers toxic but non-hazardous. That includes waste like coal ash from power plants, residual grit from sandblasting and liquid waste from oil and gas production, including fracking. The toxins in these materials could prove hazardous at higher levels, but on a smaller scale don't pose a threat to public health or the environment, TCEQ said. The application estimates the facility will take in about 750 tons of non-hazardous industrial waste each day, but does not specify a limit on the amount of Class 1 waste it can accept. Class 1 waste “may pose a substantial present or potential danger to human health or the environment” when handled improperly, the commission said. Fourteen of the 198 active landfills in Texas accept Class 1 waste, according to a TCEQ report released in 2015. That prospect has locals on edge, and they say the landfill will make their community a dumping ground for toxic waste from around the country and Mexico. But Benavides argues the proposed facility is more isolated than existing landfills and would provide a one-stop shop for waste disposal, preventing more neighborhood landfills from cropping up in the future. The facility would be nearly three times the size of the average Texas landfill, according to a TCEQ report. Taking in one to two million tons of waste per year, it would join the ranks of only six other landfills of similar capacity in Texas. 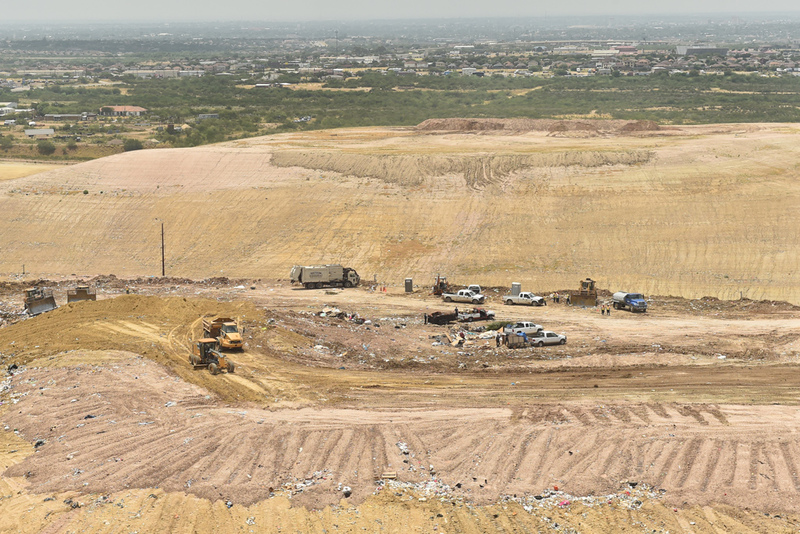 While Benavides says the landfill would focus on in-state waste, the permit application includes permission to bring in waste from other states and U.S. factories in Mexico. Landfill opponents claim that proposing its construction near a poor, Hispanic-majority community is no coincidence. “If there were white people here, they wouldn’t put [the landfill] here,” Obregón said. Laredo city Councilman George Altgelt, who voted for a resolution opposing the landfill, called it an instance of institutional and environmental racism. Benavides says claims of racism are unfounded, since he is also Hispanic. It is “disingenuous” for locals to protest his landfill, he added, since there are already two in Webb County much closer to residential areas. Shack-like homes border the city-owned landfill, and a private facility is just two miles outside Laredo. The city isn’t even visible from the site of Benavides’ proposed landfill. Even if the waste isn’t stored in Laredo, it will pass through on roads and railways, Jordan added. Spills and crashes could release toxic waste inside city limits. Benavides says he's hired experts to oversee every aspect of the landfill. The family has invested $5 million in the project to date. A self-proclaimed environmentalist who championed the plastic bag ban in Laredo and houses endangered wildlife on his ranch, Benavides says the landfill will include an advanced recycling facility. The capacity of the facility will eliminate the need for other landfills, Benavides added. 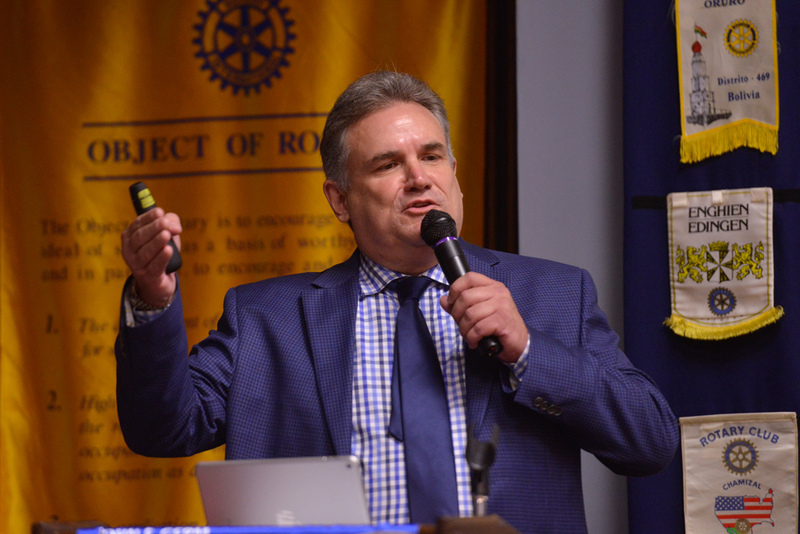 “This is the last project that will ever have to be built in Texas south of San Antonio,” he said at a recent presentation to the Laredo Rotary Club. But these arguments have done little to assuage fears about public health and environmental hazards. Even a high-tech facility can be subject to natural disasters, said Tricia Cortez, executive director of the local environmental group Rio Grande International Study Center. Sixty percent of the proposed landfill sits on a 100-year floodplain that includes two tributaries of the San Juanito Creek system that runs south into the Rio Grande. That means there is a potential to contaminate the river, Cortez said. Benavides has a plan — approved by the Federal Emergency Management Agency — to remove the floodplain problem by building dams and diversion structures. But that's created another point of contention, as some of the dams would be built on land co-owned by Benavides and his cousins. 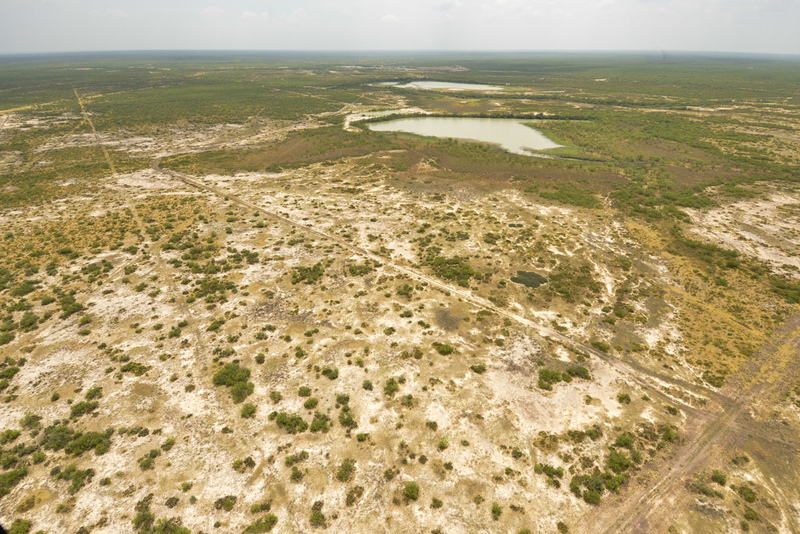 The cousins have sued Benavides in Webb County court opposing the use of that land. These issues are all set to be discussed at a public meeting in Laredo on Aug. 11. TCEQ said it will consider public comments before making its final decision on the landfill application, which could be months away. For Obregón, the meeting is a chance to call attention to his community’s concerns, which he says have gone largely unheard. If TCEQ approves the landfill despite residents’ protests, Obregón said he may go on a hunger strike. This article originally appeared in The Texas Tribune at https://www.texastribune.org/2016/08/02/laredo-residents-oppose-toxic-landfill-proposal/. On May 3, 2016, the RGISC Board of Directors met for 3.5 hours on the proposed municipal and industrial waste landfill. The Board heard from both sides and asked questions from both sides. Afterward, the Board voted to stand by its letter and comments to the Texas Commission on Environmental Quality (TCEQ) and not support this project due to numerous environmental and public health concerns. To review these concerns please click our letter on the left. ﻿﻿FOR MORE INFORMATION ABOUT THE PROPOSED LANDFILL, PLEASE SEE LINKS BELOW. This website provides extensive information on the permit applications filed to TCEQ, as well as geology reports, site design, and groundwater monitoring plans. This is the Texas Commission on Environmental Quality website, which provides an application overview for the proposed landfill. ﻿An April 7, 2016 LMT article about the draft permit application for the landfill. This article provides the history of the permit application for the landfill and more information about Rancho Viejo Waste Management. An April 11, 2016 San Antonio Express-News article that mentions plans for the landfill. This article notes the 2013 public meeting, where many citizens voiced their opposition and TCEQ's response to these concerns.